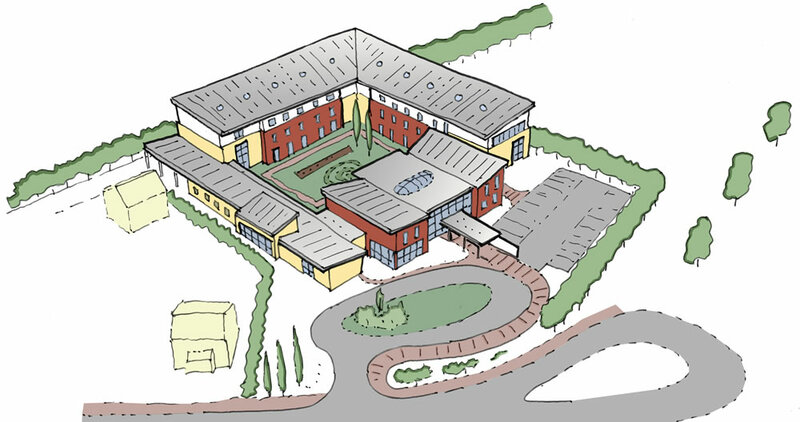 This project involves the design of an 80 bed residential care home designed for a site on the outskirts of Leicester. The design was required to take account of the growing number of cases of dementia amongst care home residents. 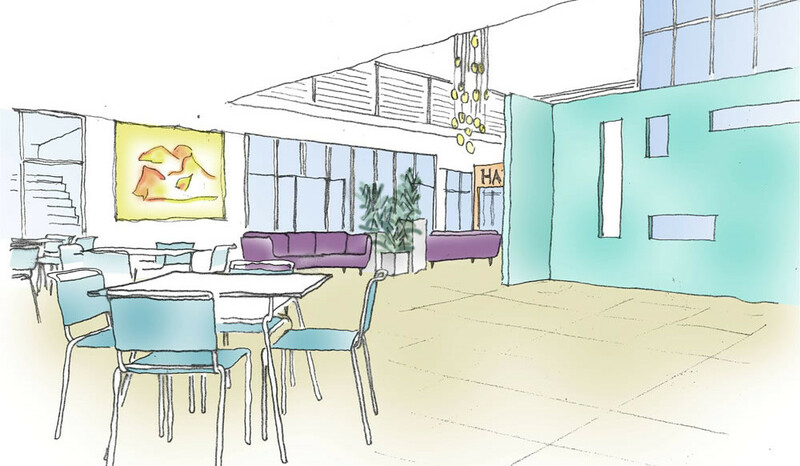 Our experience of working to both Stirling University’s and The Kings Fund’s guidance for designing environments for people with dementia was fundamental in our design approach for the project. The project is split into three interconnecting elements. There is the “public front door”, which includes a cafe and wider community facilities. Next there is a three storey block of bedrooms all grouped into suites of 10 which share a lounge and dining area, thereby creating distinct “family” units. Finally there is a wing of support accommodation. These three elements are grouped around a courtyard, providing a secure external space for residents to use, while the basic space planning allows each area to be opened up or closed down to suit the needs of the home.